Platform fighter game, Brawlout, is coming to the Nintendo Switch eShop in a little over a week, on Tuesday, December 19th. The developers at Angry Mob Games aimed to have a balance between the game’s party game roots, and the growing competitive scene. This way veteran fighters and new players alike can have a blast in Brawlout. They also left out shields and blocking to create a heavy focus on a more fast and aggressive style of combat. Each character is designed to have a certain archetype seen in other games in the genre. On top of familiar moves like air dodging, Brawlout adds special mechanics to add a bit of extra depth to the combat. As you both give and sustain damage, your rage meter builds up. You can use it to break combos via Rage Burst. Beyond breaking their combos, this move can push back your foes, but the extra breathing room it may give you comes at the cost of half of your rage meter! With a full rage meter, you can also enter Rage Mode, which increases your attack power and makes you more resistant to damage, allowing you to unleash your vengeance. 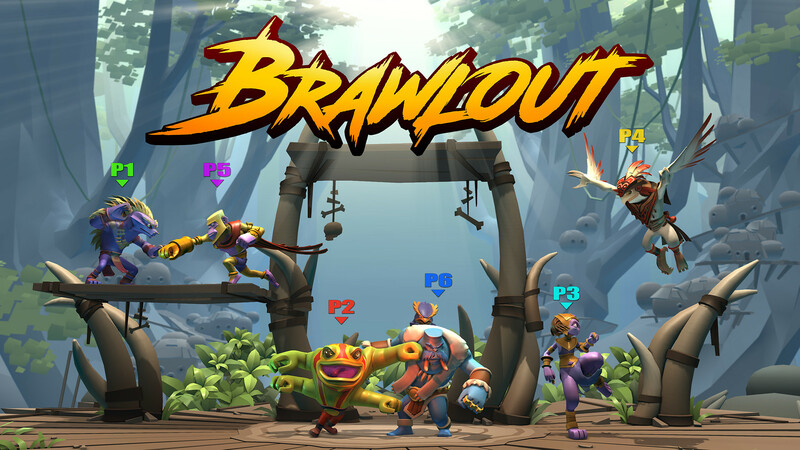 Brawlout has a number of game modes to fight it out in. Up to 4 players can duke it out in timed, stock, or team battles. AI bots are available to fill out a team or to practice against, too. The game also features online multiplayer, including a robust regional leader board system. It has 2-4 player private lobbies as well as free-for-all casual matches for low-stress style of competition. Players can check out their battle stats, fight history, and replays on the Brawlout Network mode. They can also use the Brawlout TV mode to spectate live matches or watch replays of other players battle it out.